First cut a 3" x 6" piece of black card stock and fold it in half for the base and a 2 7/8" square piece of patterned paper for the front. 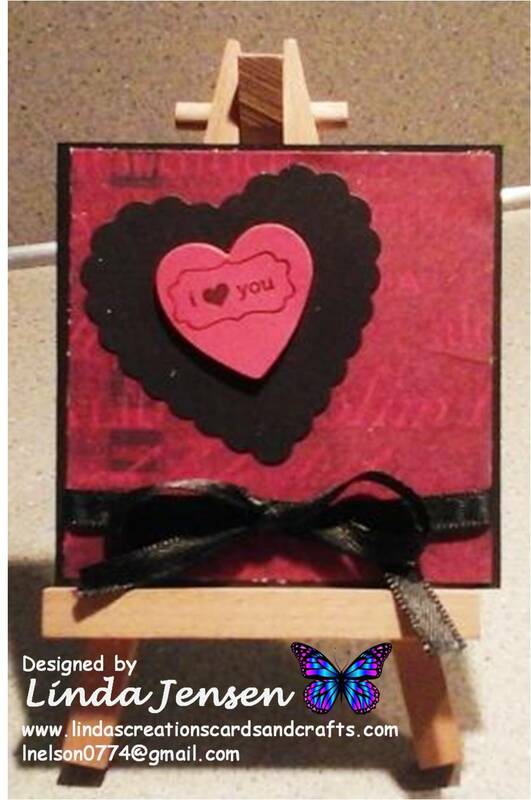 Next cut out both hearts using a Stampin' Up! 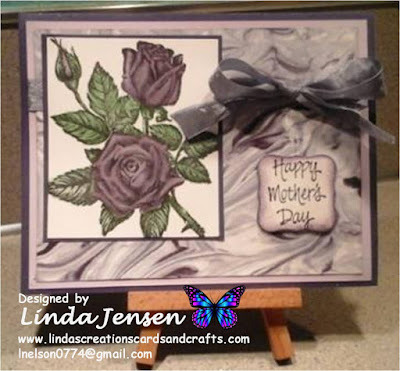 Hearts a Flutter die set, and stamp the sentiment in Stazon Jet Black ink. Then attach the large heart to the front layer with regular adhesive, the smaller one with a mini pop dot, tie the ribbon around the bottom of the front layer, attach the front layer to the base and enjoy!